MADERA, CALIFORNIA (February 5, 2016) – As the 2016 season approaches, Kenny Shepherd's Madera Speedway has announced that 23 drivers have been approved for the inaugural Jr. Late Model Series. The MAVTV-televised series will pit 10-16 year olds in full size Late Models that match the rules of the popular televised LoanMart Late Model Series with the addition of a restrictor plate. Races will be 50 lap contests on the one-third mile asphalt oval over a pair of 25 lap segments. Drivers with full size stock car experience, along with experience in Micro Sprints, Legends, Karts, Bandoleros, Mini Cups, and Quarter Midgets are among those that have been approved. The driver roster ranges from the southwestern United States as far north as Canada. There have been 25 driver applications turned in plus many other phone calls about the series from possible drivers or parents. 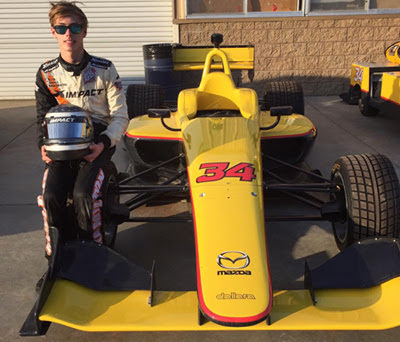 Both drivers that were not approved were contacted via a phone call, and Madera Speedway is working with them on gaining more experience via track time, testing time and more seat time in lower divisions in order to get them approved in the future. Jr. Late Model 50 lap races and LoanMart Open Late Model races will take place on March 12th, April 30th, May 28th, June 18th, July 30th, August 27th, September 24th, and October 8th. For more information on the Madera Jr. Late Model Series, or information on the driver approval process, please e-mail Kenny Shepherd at kshepherd@racemadera.com. 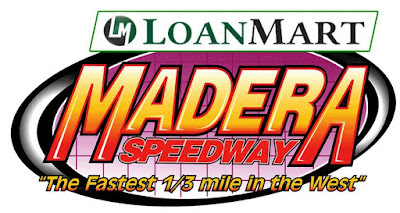 For more information on the LoanMart Madera Speedway please go to racemadera.com. We've all been waiting to see what was left of the Irwindale Event Center's. Was it going to become the outlet mall all race fans have been threatened with anytime soon? Apparently the demolition plans for the track, first expected to begin in January, has been somewhat postponed at least until late summer. In recent days the management the IEC released a schedule for their one half mile and one third mile paved ovals that will run through July 16th. Hopefully, they will find it necessary to expand that schedule until the end of the year. The NASCAR Whelen All American Late Models will again be the lynch pin on this new schedule and will treat the fans to their high level of excitement through ten appearances. Also adding to the oval fun will be the Race Car Factory Spec Late Models, formerly known as the S2 Series, along with appearances from the Irwindale Race Trucks, the Southwest Tour Trucks, Mini Stocks, Legends, Super Stocks and Bandoleros. The revised schedule also includes some special shows led by the March 19th appearance of the high flying NASCAR K&N Filters West Series and the running of the NAPA Auto Parts 150, presented by Bill McAnally Racing. The evening of April 30 will be another special IEC evening featuring the Lucas Oil Modified Racing Series and the Spears SRL Southwest Tour. Also on the special night list will be three of the IEC's fan favorite Night Of Destruction set for the evenings of March 12th, May 7th and July 2nd. A tire burning, slide ways running, evening of Formula Drift has been set for February 11th. The IEC's one eighth mile drag strip will also be very busy over the next several months featuring 27 weeks of their NHRA Thursday Night Thunder program as well as six visits from the NHRA Summit Racing Series. The next move needed is for us, the racing fans, to turn out and support all of this action and fun. That likely will be a done deal. This track has been treating its loyal fans to high quality racing shows since 1999 and there's absolutely no reason why that trend won't continue throughout this summer schedule. ORANGE SHOW SPEEDWAY REGISTRATION SCHEDULE. The pre-registration event for Saturday February 6, 2016 has been moved to next Saturday February 13, 2016 from 11am to 2pm. Orange Show Fairgrounds is having an unexpected event this weekend and the Pit Area will not be available. The OSS will stage pre season practice sessions on March 5th, March 12th, March 19th, March 26th and April 2nd. Official 2016 season opening night will see the green flag on April 9th. Bakersfield, CA -- The Winter Showdown week will begin with a kick off party presented by Visit Bakersfield on Thursday evening, February 25th starting at 5pm. Race teams and fans will be invited to the area’s newest brewery, TEMBLOR Brewing Company at 3200 Buck Owens Boulevard in Bakersfield. In addition to great beer, food and games, fans can meet the drivers, see the team’s rigs and cars on display, raffle prizes, purchase event merchandise and enjoy great food and drink specials. Weekend Pit Credentials will be available for the teams to purchase while at the Kick off Party. Temblor Brewing Company is a 14,000 square foot state of the art brewery and kitchen. Locally owned, Temblor Brewing Company has a 600-gallon brewery producing eight flagship beers with a pub featuring a delicious lunch and dinner menu. After the Winter Showdown Kick Off Party, the race teams will have the option to take their rigs from TEMBLOR straight to Kern County Raceway Park to be officially parked for the weekend. The SPEARS Southwest Tour Series officiating team will be at track to get the teams into the proper order and parked in their assigned pit for the weekend. The 2016 Winter Showdown weekend will be headlined by the Sunday, February 28th $30,000 to win “Winter Showdown 250” for Super Late Models. Sunday will also feature the Super Late Model Last Chance Qualifier. Saturday, February 27th will feature; Super Late Model qualifying and qualifying races, along with a full program of the Lucas Oil Modified Series, featuring an 80 lap main event. For fans who prefer to watch side by side racing action at full speed on a paved short track we have two outstanding events for you to consider during the upcoming. Both of these special events can be found in the state of Arizona. There's going to be a slight change of pace for fans of the most scenic quarter mile in the southwest this Saturday afternoon. Open wheel racing will highlight the race schedule when the always exciting, and super fast, USAC HPD Midget Series comes to town. Also on the open wheel portion of the show are the awe inspiring cars from the AVRA-Arizona Vintage Racing Association. These pristinely restored cars are true works of racing art. Fans will get to see them up close, and meet the drivers, during the speedway's traditional autograph session. Then, later in the evening, the fans will get to see them in race mode. Speedway officials have not overlooked the fans who come to this track to see stock cars run wheel to wheel. In recent days they added another appearance to Saturday's show from the Get It In Gear Street Stocks who will be running a 50 lap main event that pays $500 to win and a guaranteed $125 just to start the race. This extra addition is one more opportunity for someone to beat driver Gavin Bucy who, so far during the winter racing season, is the only street stock to park in victory lane. Also bringing excitement to the show will be the fan favorite, racing is rubbing, Sam Nichols Electric Factory Stocks. The youngsters in their small, but fast, Bandoleros will be running twin main events Saturday and the Havasu Wiring Outlaw Karts, the newest division to the speedway's line up, will be on hand to peg the excitement meter. Due to the still chilly night time temperatures in Lake Havasu City, this event will be another day race. The spectator gates will open at 12pm with the track hitting green flag conditions at 2pm. The theme of the day will be Snowbird Appreciation meaning snowbirds, those who spend the winter season in the area, and local seniors will receive a $2 discount on their tickets. All of this racing fun is being sponsored by Larson Equipment. On Saturday, Larson Equipment race day, general admission tickets will be priced at $12 and $10 for military personnel and the handicapped. Again, snowbirds and seniors will receive a $2 discount for this one day and their tickets will be $8, Kids tickets, age six to 16, are $6 while kids five and under are admitted free. Lake Havasu City Unified School Districts can receive a one dollar discount by presenting their school ID at the ticket gate. The speedway offers also offers a budget friendly Family Package for $25 that admits two adults and two kids. Fans can also enjoy the special amenities of the VIP section, featuring the best seats in the house, for $25. Advance race tickets, always a good idea when visiting this speedway, can be obtained from Peggy Gerchman at Peggy's Sunrise Café, 1584 Countryshire Avenue. For additional information dial up the speedway's official website or visit their Facebook page. There's going to be two nights, this Friday and Saturday, when the Tucson Speedway presents the third annual Chilly Willy 150, a special weekend featuring the super fast Super Late Models. Friday night's schedule will feature the Super Late Models running a series of qualifying races along with the dash for cash. Also on the Friday program will be the speedway's Pro Trucks who will be racing for double points in both the heat races and the main event. Adding to the fun will be a pit party featuring a chilly feed. a bonfire that will likely be needed and enjoyed along with a live band. The Friday spectator gates will open at 4pm followed by qualifying at 415pm and racing at 6pm. Saturday's action will feature a last chance race for the Chilly Willy 150 line up followed by the main event featuring some of the best Super Late Model driving talent from the western states area. Also adding to the fun will be the speedway's Pro Stock and Hornet divisions who also will be racing for double points in both the heat races and the main events. The Saturday spectator gates will open at 230pm followed by heat races at 3pm, an on track driver meet and greet at 4pm and the main events at 5pm. There is a variety of ticket options for this special event that involves both weekend passes as well as single day tickets. The ticket information can be found on the speedway's official website.